If you are tired of mass produced finishing materials for your home and you long for something that’s unique and customizable, then hand crafted ceramic tiles are just right for you. Each tile receives the loving care of artisans, dedicated to making beautiful tiles that will adorn rooms of people for years to come. Handmade tiles made in the U.S.A. are specially made with customers’ specifications. Each tile is unique, varying to certain degrees with other tiles from shape to color. And this feature makes them distinctive and special to makers and customers alike. 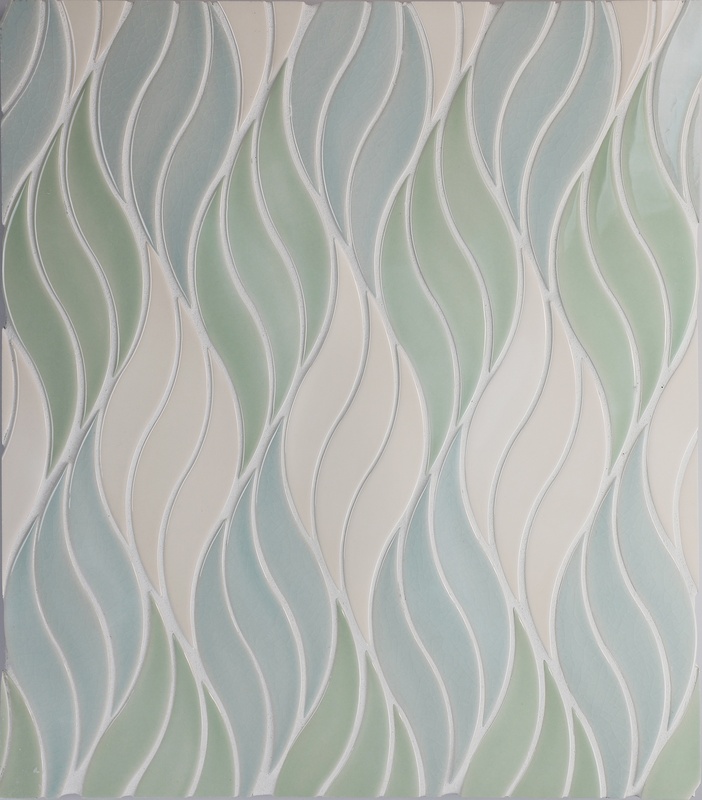 It’s a ceramic tile collection inspired by art and crafted by hand. The charm of old world carving and design is brought back to life by Quemere Designs. 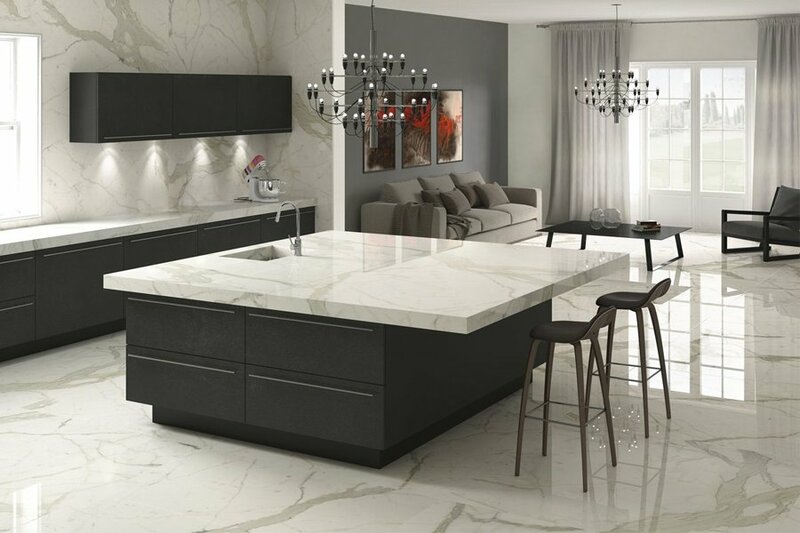 In a new world defined by computers and automation, this tile company has set itself apart by incorporating human touch into each phase of the production process. Hand carved. Hand crafted. Hand painted. Luxury ceramic tile. Quemere Designs just might be one of the best kept secrets in New England. Based out of Middletown, CT, their 10,000 square foot production facility is tucked inside the Galleria Design Center located at 234 Middle Street. 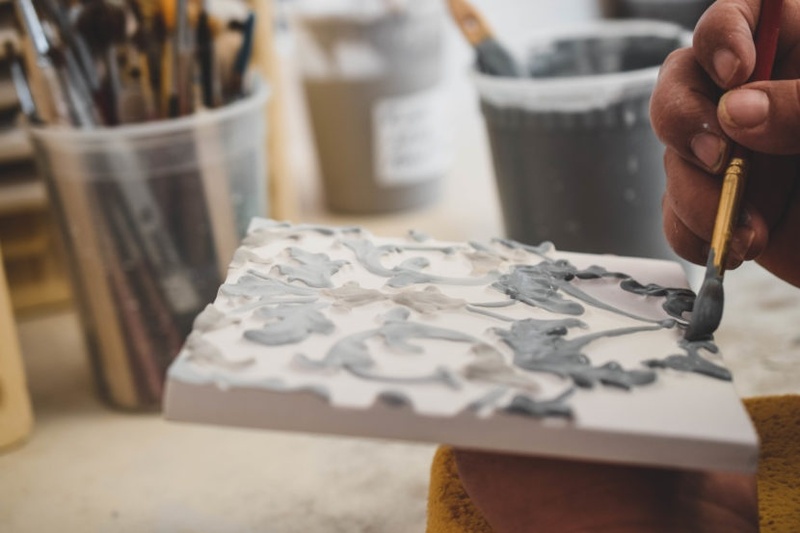 A space where imagination, skill, and wild creativity combine to form tiles that are quite literally miniature pieces of art.